Back from the international break, United are looking to stop their small losing streak as Watford come to town, with a new permanent manager in charge. 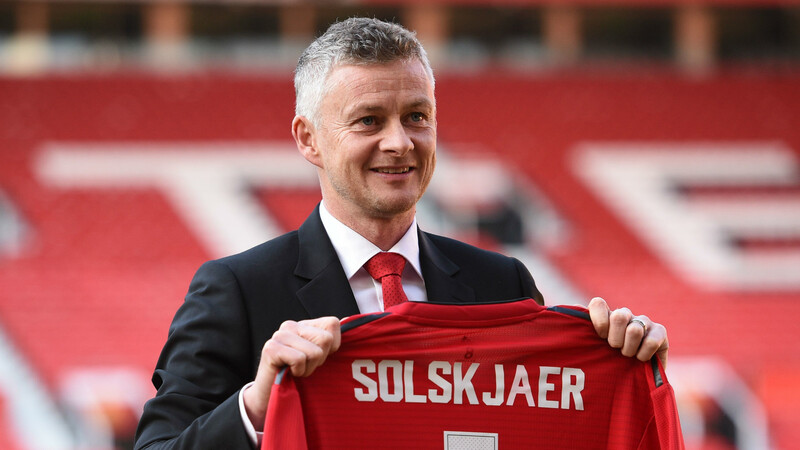 Ole Gunnar Solskjær was announced to have signed a three-year contract on Thursday to the delight of fans everywhere, while Javi Garcia has his own success recently, as his side made it through to Wembley for a semi-final a fortnight ago. The Red Devils are finally back at Old Trafford but the Hornets may well bring a sting in their tails to spoil the homecoming. Finding some stability both on and off the pitch, Watford have had a stellar season; not only in the Premier League. That quarter-final victory at Vicarage Road will give them the confidence to finish the season strongly under Spanish gaffer Gracia. Although, like any mid-table outfit, consistency has been an issue: winning 12, drawing seven and losing 11 so far in the campaign. The aforementioned reverse fixture came five games in, as Watford lost their 100% record in a cagey encounter. Former red Ben Foster has had a terrific term in goal, and in front of him may well be another academy graduate in Craig Cathcart. (4-2-3-1) Foster; Janmaat, Cathcart, Kabasele, Holebas; Doucouré, Capoue; Deulofeu, Hughes, Pereyra; Deeney. The announcement that the world was waiting for came at 9am on Thursday morning, with reds across the globe celebrating – probably by humming the riff to The Stone Roses’ ‘Waterfall’ all day. Assistant boss Mike Phelan is also expected to remain at the club next season according to the Manchester Evening News. As a gesture of good will, have the squad are set to face Molde FK in a pre-season friendly in the summer. On the topic of summer, it has been announced that United will also face Internazionale in Singapore, Tottenham Hotspur in China and AC Milan in Cardiff at the Principality Stadium, which adds to fixtures against Perth Glory and Leeds United in Australia. Despite all that good news, it was a torrid night at Molineux almost two weeks ago, with a lacklustre display forcing Solskjær to admit it was the performance worst since he has been back at the club – certainly a night to forget. That means United will not reach Wembley this season, the first time in three years. However, they will return to the Midlands on Tuesday to play a crucial game in-hand. The Red Devils had a whopping six players drop out of international duty as well as Jesse Lingard not being selected because of his recent injury. Eric Bailly netted an emphatic header for the Ivory Coast against Rwanda but came off shortly after following a nasty head challenge. Pogba record a beautiful assist for rumoured summer target Antoine Griezmann in one of two games in which he shone in for France. Scott McTominay came off the bench for Scotland in their shock 3-0 defeat to Kazakhstan and was struggling with a stomach bug but played 34 minutes in San Marino. David De Gea played one of Spain’s two matches, and Antonio Valencia was surprisingly fit enough to play once for his country. Off the pitch, popular fitness coach Gary Walker departed the club for FC Cincinnati after 11 years at Carrington. Meanwhile, Victor Lindelöf’s partner Maja gave birth to their child on Monday. The Swede was initially red carded by Martin Atkinson in the quarter-final but it was altered to a yellow card following a Video Assistant Referee consultation. Rumours of Ander Herrera leaving at the end of his contract this summer for Paris Saint-Germain with a lucrative deal were rife during the break, as the Spanish midfielder remained coy on the speculation when interviewed about it, calling ‘normal’ for him to be looking for other options. Onto this one, Ashley Young is expected to return to the starting XI following suspension and he broke through at Vicarage Road in 2003, before a move to Aston Villa four years later but will likely receive another bitter reception from the away end. The industrious style the Hornets employ with be tough to break down, so Marcus Rashford may well need his shooting boots if passed fit. Concerns over the fitness of Jesse Linagrd, Anthony Martial and Nemanja Matić look set to force the team news to be left until late in the day. Luke Shaw and Romelu Lukaku pulled out of their respective national squads, but were with the squad at the Lowry Hotel last night. Nothing of players availability was mentioned in Solskjær’s media-packed presser, so a difficult lineup to predict. (4-1-2-1-2) De Gea; Young, Smalling, Lindelöf, Shaw; Matić; Herrera, Pogba; Lingard, Rashford, Martial.